“Today President Trump postponed House Speaker Nancy Pelosi’s trip to the Middle East using a government aircraft until the shutdown is over,” said Graham in a Jan 17 post on Facebook. “I would encourage the members of Congress to come together for a prayer meeting with President Donald J. Trump and Vice President Mike Pence, and call on the name of God, asking Him for His wisdom and asking Him to soften everyone’s hardened hearts,” said Graham. 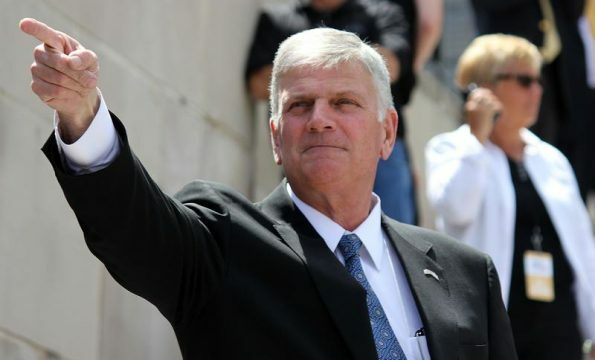 Franklin Graham is the president of the Billy Graham Evangelistic Association (BGEA) and the international Christian aid group, Samaritan’s Purse. Franklin Graham is one of the most influential evangelicals in America and the world. While what Graham says is true, calling for America to get back to God leads, ultimately to worship laws and the fulfillment of Bible prophecy. “Men have become bold in transgression. The wickedness of the inhabitants of the world has almost filled up the measure of their iniquity. This earth has almost reached the place where God will permit the destroyer to work his will upon it. The substitution of the laws of men for the law of God, the exaltation, by merely human authority, of Sunday in place of the Bible Sabbath, is the last act in the drama. When this substitution becomes universal, God will reveal Himself. He will arise in His majesty to shake terribly the earth. He will come out of His place to punish the inhabitants of the world for their iniquity, and the earth shall disclose her blood and shall no more cover her slain.” Testimonies for the Church, Vol. 7, page 141. 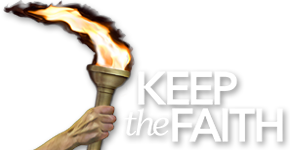 “While what Graham says is true, calling for America to get back to God leads, ultimately to worship laws and the fulfillment of Bible prophecy.” So don’t call America back to God? How about doing what is right,and leave the results to God? There is nothing wrong with calling America back to God. The issue that we pointed out is that political evangelicals will eventually go beyond persuasion and enact laws to try to force America back to God. This is a prophetic blog, not a commentary on other issues. And yes we certainly do leave the results with God. Our mission is to point out the prophetic link. Evangelical Americans are hell bent on making the country “religious” as to their liking. Bible believing true Christians know this will end in FORCE, the tactic of Satan. And it should not be missed, Franklin Graham emphatically stated Mr. Trump is the “man of god”, he already believes the 1st Day of the week is the Sabbath, etc., so how credible is he, really?